Prologues: Do editors really hate them? Recently, at a writer’s discussion, an aspiring author discussed his fantasy novel. It started with a prologue that explained something important that happened fifty years prior to the action that begins the first chapter. I advised him to cut it and work that information into the book in other ways. I dislike prologues. Too often, especially in science fiction and fantasy books, authors use a prologue to explain the world and set the scene. Instead of jumping into the story, we get a long history lesson, full of names and places we’ll instantly forget, many of which never appear again in the book. Let us find out about that background when it’s needed. Introduce it through dialogue instead of in some “info dump.” Trust your readers. You’ll probably find that most of the information you created isn’t really needed for the story. Writing a background history is important — I encourage all authors writing to develop their worlds fully. It will aid you greatly in developing your characters’ personalities. However, your reader doesn’t need all that information. 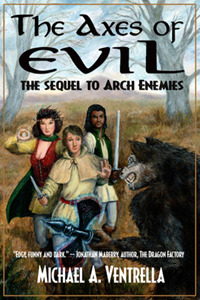 ARCH ENEMIES and THE AXES OF EVIL take place in a fantasy world with a detailed history. The magic in this world works in a specific way. 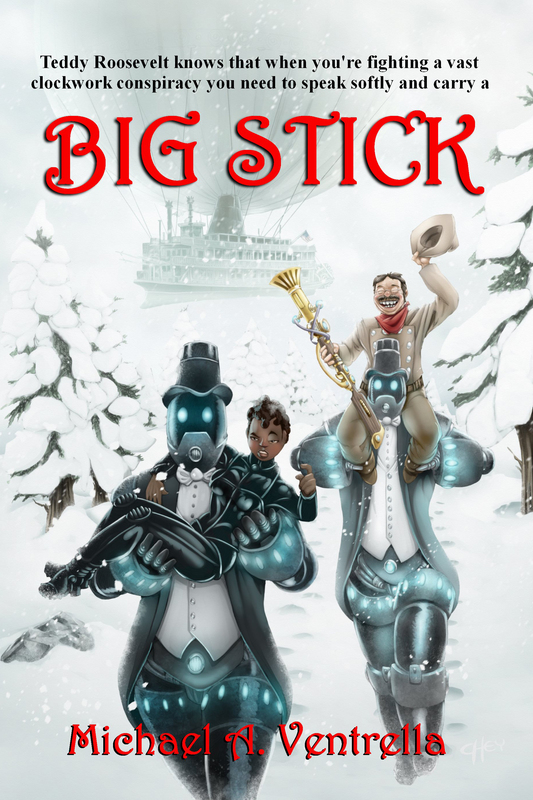 Terin, the teenager who gets pulled into the adventure against his will, learns what history and magic he needs to know as he progresses through the story. Amazingly enough, that’s exactly the amount the reader needs in order to follow the story and get excited about its plot. None of the rest of that grand world history is in the book other than through passing comments. It’s not needed to tell the story. Not all prologues are evil. Just unnecessary ones. For instance, in a tale about a haunted house, a short prologue describing the murder that took place there a hundred years ago might work just fine. There’s absolutely nothing wrong with a prologue that sets the story. But then, why not just name that “Chapter One”? Norman Mark was a politician with skeletons in his closet. I could have called that the prologue, because it sets up the feel of the book in a concise way while not actually starting the plot at all. In fact, Norman Mark is not even the main character. I have no problem with an introductory opening like that — and neither do editors. There are plenty of examples of books that begin this way. Really, what I hate (and what editors hate) are info dumps — where the author needs the reader to understand certain things and gives a lesson instead of tells a story. I’m against those at any point in the book, but especially in the beginning. Your opening words need to grab the reader, and a history lesson doesn’t do it. Your blog is a lovely reference. Thanks for putting it out there. Michael, I agree. Just start the story! I never, ever read prologues…I skip right to chapter 1. If its important enough to be in the book, then wind it in through out.